Kaduna State Government on Wednesday rose from its Council meeting to announce barring of personnel of the Federal Road Safety Corps (FRSC) from erecting checkpoints in Kaduna metropolis and other urban centres across the state. The development, which was contained in a statement signed by Special Assistant (Media and Publicity) to Governor Nasir El-Rufai also prohibited FRSC personnel from indiscriminately stopping of vehicles for inspection in Kaduna town, a situation which he says has been responsible for avoidable traffic congestion and accidents hence the call on FRSC personnel to concentrate their energies in ensuring safe travel on highways such as the Abuja-Kaduna expressway. The State Security Council meeting which was chaired by Governor Nasir El-Rufai has in attendance were the Deputy Governor, Arc. Barnabas Yusuf Bala, Commander 1 Division Garrison, Nigerian Army, Brig-Gen Ismaila Isa, Commander 453 Base Services Group, Nigerian Air Force, Representative of the Commandant, Nigerian Navy School of Armament, Capt SM Ochidi, Commissioner of Police, Mr. Agyole Abeh, Director DSS, Tijjani Mohammed Wakil and heads of other security agencies. 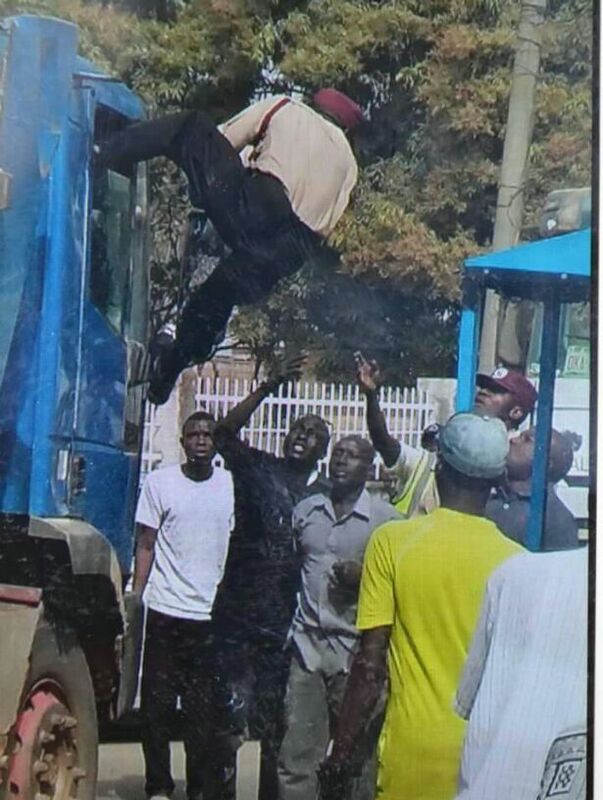 The statement read in part, “the council acted following complaints that FRSC officials were acting in ways reminiscent of the VIO that was dissolved by the state government following widespread unease at their acts of disrespect for the public and penchant for extortion. “In 2016, the Federal Government acceded to requests from the Kaduna State Government and redesignated the Nnamdi Azikiwe Expressway (the Western Bye-pass) and Ahmadu Bello Road as state roads. Residents complain that FRSC officials create needless traffic bottleneck on these state roads. “Similarly, the Council has directed that transporters should stop loading firewood, tomatoes and other goods on top of petrol tankers throughout the state. The Council drew the attention of the public to hazards such practices pose to lives and property. “The Security Council added that these actions became necessary after reviewing the trend, and noting concerns expressed by citizens over the undue hardship and accidents people have been exposed to at FRSC checkpoints and from reckless tanker drivers. “The Security Council, therefore, mandated security agencies to ensure compliance with these directives, and relevant agencies were also directed to impound defaulting tankers”, it added. It would be recalled that, Governor Nasir El-Rufai shortly after he was swarn in abolished VIO and introduce Kaduna State Traffic and Environmental Law Enforce Agency (KASTELEA) which its responsibilities include checking vehicle papers, traffic control among others.